Lost Arts is a specialty shop that has a vast assortment of intriguing and timeless items that are all hand crafted by some very good local talent. If you need a unique “something” for someone (or for yourself) here is a source that redefines the word with a variety of ideas that provides a creative and useful array of artistic notions and gifts. Located on the corner of Locust (Main Street) and Fourth Street in Fairbury, this hub of interesting ideas brings to life those neat little things that creative ingenuity turns into reality. Crafts and arts have long been a staple in making a unique description that fits and Lost Arts has a seemingly endless arrangement of just about anything that human hands can create although, as you look around, you might wonder if maybe Santa’s elves are keeping busy in the offseason. Come on up and take a look – at the very least it makes for some interesting window shopping but we’re betting you’ll recognize that special something the minute you see it. Say “hello” to the perfect gift for Grandma, or that little something that’s just right for Mom’s front room, or that mystical feel good by having it for yourself whatchamaccallit – everyone of those things are expertly arranged so that you won’t miss them in this treasure cove of “needful things”. Go ahead, do it – go look for yourself and see the wonders of “unique” for real, you know, the ones that don’t have that disappointing label on them that says they were made in China. Lost Arts goes beyond the concept of finished products because they have supplies for your own crafting needs. They stock those hard to find ingredients for Quilting, Knitting, Crocheting, Tatting, Needlework and Sewing so you can do some one-stop shopping while you’re there. Their staff will be happy to assist you in putting together the necessaries for your next project and making sure that you have everything you need to turn it into a perfect completion. Who knows, you might be the next creative artist with something to offer through Lost Arts. By the way, there is also a display of items across the street at the Lost in Time Restaurant – you can have a bite to eat for breakfast or lunch from an attractive menu while you examine this extension of the Lost Arts availabilities – they’re all part of the same family. 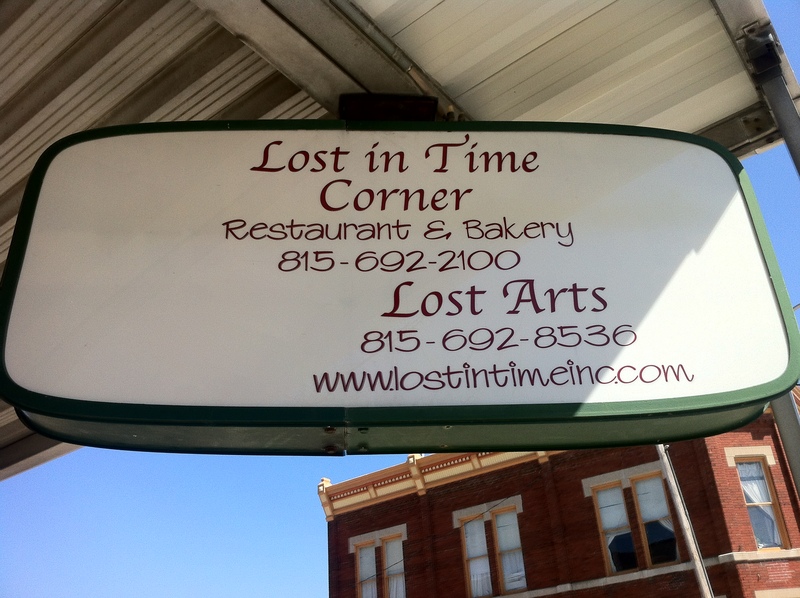 Lost Art’s also offers a variety of classes – quilting, sewing, knitting & more! Some are multi-day (weekly) so you will want to start on the first day. Store hours are Monday through Friday 9am-5pm and Saturday 9am-2pm. Call (815) 692-8536 for more details.